How do you deal with sorrow and guilt that comes from being the cause of an accident. It is not an intentional act that requires confession and forgiveness, it’s just an accident. An unfortunate mistake in judgement, like spilling a glass of milk at a meal, or pulling out from the gas pump with the hose still stuck into the car. These are minor examples, but what if it is a major accident that results in someone being injured or killed. These accidents are life changing and extremely hard to get past. Frequently, they lead to isolation and depression from all the psychological pounding. 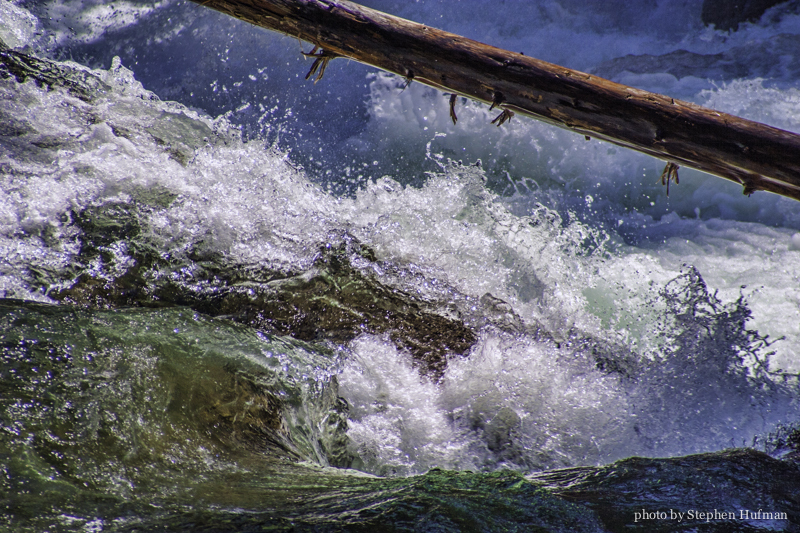 It is analogous to a log caught in the rocks hammered by turbulent whitewater. My mind swirls with relentless self-recriminations that I cannot switch off. The condemnation I feel begins to build to high levels. Friends with good intentions throw verses at me like: “The Lord giveth, and the Lord taketh away,” or they talk about it being God’s will or purpose. But these words only seem to make me feel more isolated and upset, no one understands, I feel alone. The worst battering comes from the inner voices constantly berating me: “how could you be so stupid” or “you should be stronger … where is your faith.” With all this, the burden of guilt only seems to grow, not slacken. I begin to wonder if life is worth living. First, I must understand there is no easy answer or quick remedy. Second, I have have to learn to breath again, taking one breath at a time. This involves forcing myself to breathe in truth in the form of a memorized verse (e.g. “Though my father and mother forsake me, the Lord will receive me.” – Psalm 27:10) Then I exhale a prayer for help. Inhale truth, exhale prayer, over and over until the truth starts to sink in. I constantly remind myself “don’t panic,” for the waves will keep coming. During this process false accusations will bounce around in my head, stuff like: “you’re a failure,” or “you deserve to die.” I can only refute these lies with truth from God’s Word.